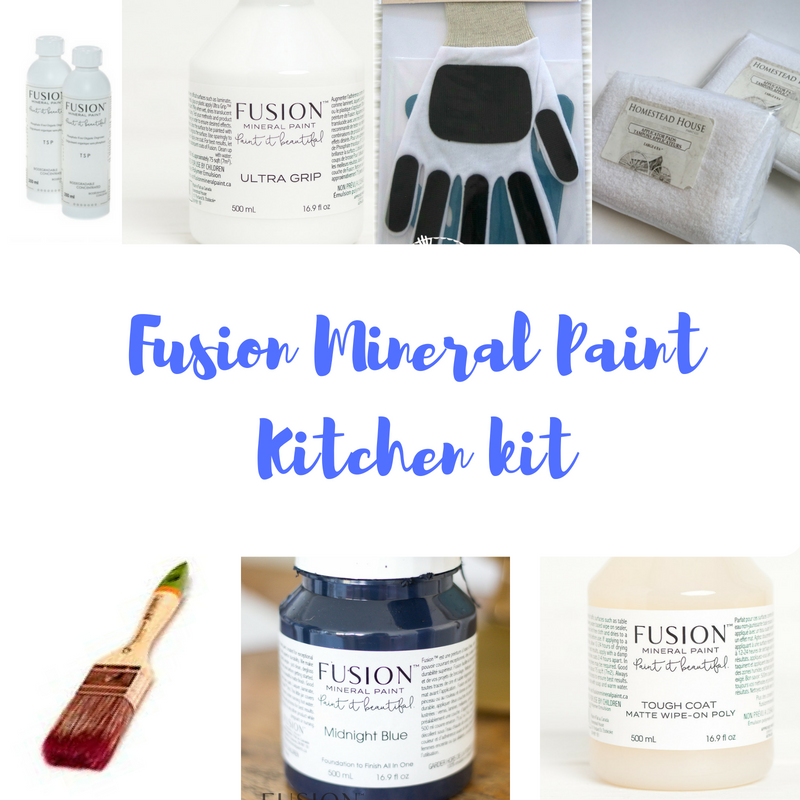 Paint your kitchen with Fusion Mineral Paint. Everything you need to paint your kitchen beautiful all in one kit! Ultra Grip is only needed on Melamine and very glossy surfaces, you would not need to use this product for wood or previously painted surfaces. It needs to be applied very thinly and evenly you can use one of the applicator pads in the kit, just apply some to the pad and wipe across the surface. Leave to dry at least overnight and paint with 2 coats of your favourite colour from Fusion Mineral Paint. 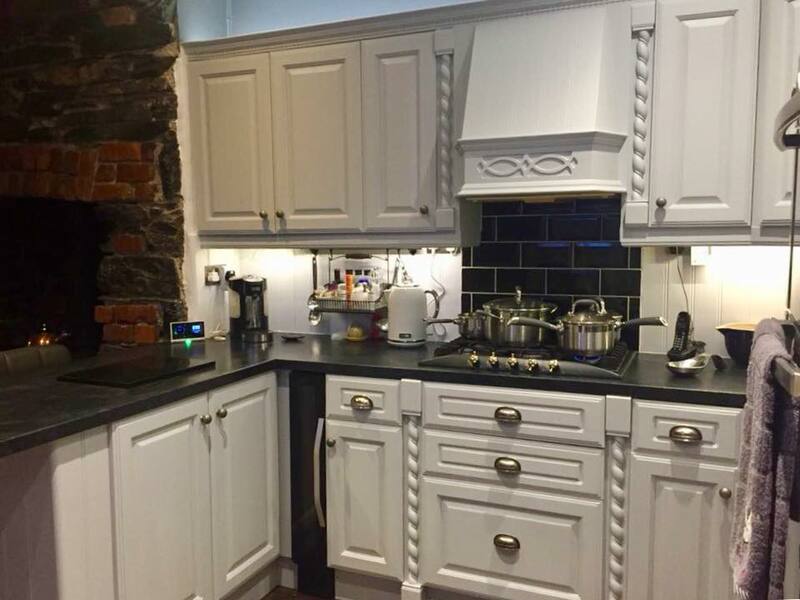 Fusion is very tough and durable and usually don’t need a top coat but if you have a lot of wear and tear and you feel your cabinetry needs extra protection the Tough Coat can be added as the last step. There are a few ways you can apply Tough Coat including using one of the applicator pads provided in the kit. I’ve put together everything you will need in the handy kit and I’ve given you over 10% off!! I’m also available by email or messenger to answer any questions you may have, but for F.A.Q I have done a couple video’s over on my IGTV Channel. You can see the prep video here. and applying Tough Coat video click here. Feast your eyes on these Fusion Kitchen Make-overs! 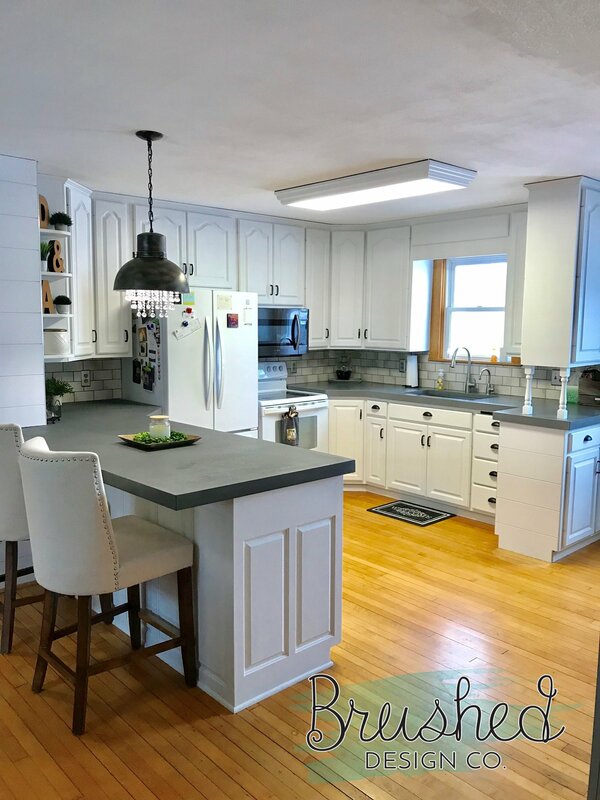 This beautiful kitchen was painted by the talent Laura Sorenson from Brushed Design Co. Click the photo to see more! 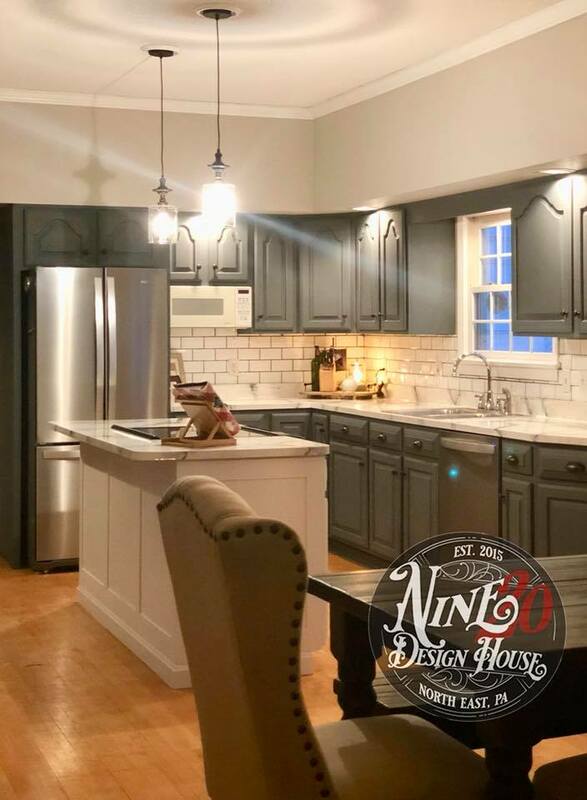 One of the kitchen we have refinished. Painted by the very talented Dawn Van Scooter over at Nine 20 Design House. Click the photo to see more! I hope this has inspired you to take the plunge and refinish your kitchen. I was interested in whether or not you can recommend something to paint countertops with or a method of video? I rent and have white ugly laminate counters. I have painted the cabinets and walls and my landlord was ecstatic but won’t put out the money on new counters since they just painted the outside of the house. If all it takes is a little money and elbow grease I’m happy to do it just because it makes me happy!